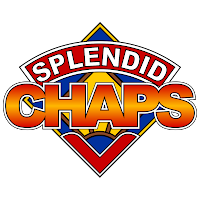 Doctor Who News: Details announced of Splendid Chaps: "Nine/Women"
Tickets are now on sale for their Ninth Doctor show! Their ninth major episode brings the Splendid Chaps finally to new Who, that time when the seemingly impossible happened and the show returned! Russell T Davies reinvented the Doctor by casting renowned TV and film actor Christopher Eccleston, famous for serious roles in dramas like Cracker, Our Friends in the North and Elizabeth. His simultaneously light-hearted and tortured portrayal of a man who has lost everything won over old and new fans alike, though the revelation after the smash success of the first episode that he would only be staying for one year took fans and media by surprise. Despite his short stay in the role, Eccleston defined the new era of Doctor Who and laid the groundwork for the format that persisted ever since. Just as important to new Who was new companion Rose Tyler, played by pop star turned actor Billie Piper. For some she was a revelation compared to the “scream queens” of the past; but is this a fair assessment? Splendid Chaps take as their theme women in Doctor Who: was having a proactive and near equal status companion for the Doctor really such a radical idea? Has Doctor Who been as terribly sexist as has often been claimed? Are the women in the show as varied and multifaceted as the men? And is the modern series really better in its portrayal of women than the old? Hosts Ben McKenzie, John Richards and Petra Elliott are joined by a panel including feminist organiser and writer Karen Pickering (Cherchez la Femme), author and podcaster Tansy Rayner Roberts (Galactic Suburbia, Verity!) and more, plus a musical performance, giveaways and excellence! Podcast: not yet available; released 23 September 2013.